The beautiful colonial style is all around Worcester MA. We just have to visit Montvale historic district to see this splendid architectural style. Discover the perfect garage doors fit with your Worcester’s house style as the Cambridge model, Eastman model or a more traditional style : Acadia. Whether you want something that will keep the weather out, surpass your durability expectations or even surprise you with its ecofriendly design, we have options available. At A‑1 Overhead Door Systems, we make it our point to provide the highest quality customer service from start to finish. 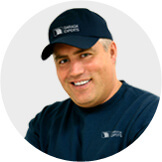 If you need a repair on any garage door or garage door opener, our employees have done the installations and have the experience, knowledge and expertise to get it handled quickly. Our installers and technicians have been working with Garaga for years, which has helped them gain the expertise and experience that ensures any installation you need will go smoothly, using only the highest quality garage doors. 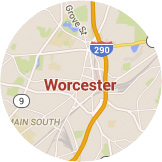 From North Worcester to South Worcester you can make sure to get the best garage door service for your garage door repair or installation. You can create the garage door of your dreams! The simple fact that garage doors play such a significant role in how a home looks to others is an important reason for ensuring you make the best decision possible. When you work with A‑1 Overhead Door Systems and Garaga, we do everything we can to ensure you love your decision and that it is perfect for you and your family. We help you do just that with our Design Centre, which will provide you with all the tools you need to create your vision. From choosing the model, the color, windows and doorknockers, you’ll have everything right at your fingertips. 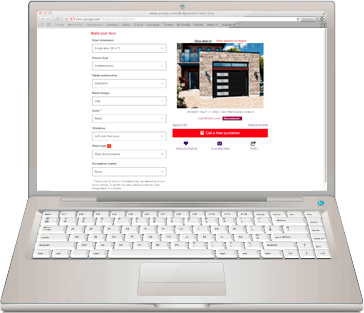 You can even upload a picture of your house and to make sure it fits with your house and other style of garage doors in Worcester. 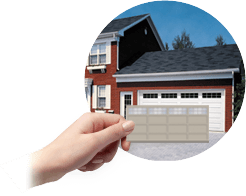 Ready to buy a new garage door? let our experts help! Discovering all of the available products can be a bit overwhelming, but our experience in the garage door industry has given us the confidence that we can help you with all your garage door choices. When you work with our employees, they will work with you through every step of the process, making sure to help you find the right insulation for your new garage door as well as any accessories you might want to add, all while keeping within your tastes, needs and budget. At A‑1 Overhead Door Systems, we take pride in only offering the highest quality, safest and most durable products available, and that’s why we offer LiftMaster garage door openers. When you want to make sure that your loved ones are as safe as possible, you can do so with LiftMaster garage door openers, which uses technology and a reliable operating system that ensures it closes properly every time. You can even use your smartphone, digital tablet or computer, no matter where you might be, to open and shut your garage door. Most of use our garage door to park our vehicles and keep them safe, but we also use it as a convenient entrance and exit as well. For this reason, we highly recommend that our customers take the time on a regular basis to ensure their garage door is working properly. At A‑1 Overhead Door Systems in Worcester, MA our garage door experts are excited to tell you about our 26‑point maintenance program. From a visual inspection to properly lubing all parts and making any adjustments that might be necessary, you can rest assured your opener is working as it should. Take I‑190 N to Mead St in Leominster.